Two of my favourite tracks from NaS' highly anticipated tenth studio album 'Life Is Good', which is set to drop July 17th. 'A Queens Story' is his best track for quite some time, in my opinion. Pre-order HERE, you will not be disappointed, Mr. Jones is back to his best on this one. Set to be released June 5th, 'Porchlight' is one of my favourite tracks from Big K.R.I.T. 's highly anticipated debut album 'Live From The Underground'. The track features the spine-tingling vocals of Anthony Hamilton and sees K.R.I.T. at his storytelling best, which is a prominent factor throughout the album. If you love Hip-Hop, then you'll cop this when it drops. Featuring the amazing vocals of both Anthony Hamilton & Al Green, here is the stunning new House single from Mr. Patron, which will be available June 19th on Tequila Trax. Not very often I say this after hearing a snippet, but, I NEED THIS SONG ASAP!!! Here are two of my favourite tracks from Anthony Hamilton's fourth studio album, Back To Love, which is the follow up to his Gold-certified, critically-acclaimed 2008 release 'The Point of it All'. The album features production by industry legends and Grammy Award winning producers Kenny 'Babyface' Edmonds, Salaam Remi, Kelvin Wooten and Hamilton himself. With his distinctive voice and signature grit, Soul and Funk, Hamilton has gained a steady and loyal fan base throughout his career, beginning with his 2003 platinum-certified debut album. A modern-day Bobby Womack, and one of my favourite Soul singers of the 21st Century. Out December 16th. Official visuals for the lead single from Anthony Hamilton's forthcoming album, Back To Love, which is set to be released December 13th. Probably the best R&B/Soul single of 2011 from one of the most talented singers in the world. Bobby Womack-esque. Produced by Babyface, here is the stunning lead single from Anthony Hamilton's currently untitled new album, which is set for a December 13th release. One of the most talented, consistent and under-rated Soul/R&B artists of the past 10 years. Can't wait for this one. Some unreleased music from Mr. Hamilton, produced by Jack Splash, which nobody seems to know when it's from or what it's for. Either way, it's amazing, and it hopefully means a new album is on the way. 2-Step. Official visuals for the 2nd single from Jill Scott's upcoming album, The Light Of The Sun, which will be available on June 27th. This is still one of my favourite tracks of the year so far - the perfect love song. 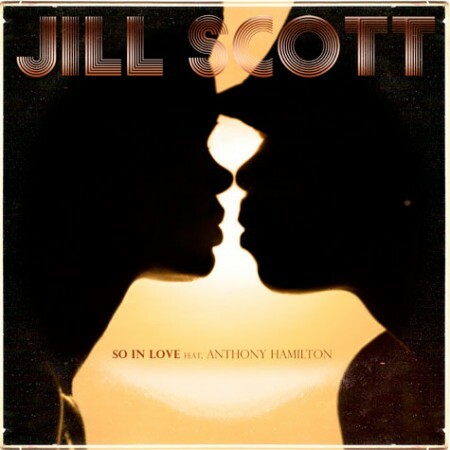 Earlier today we got the video for Jill Scott’s lead single from the upcoming album, The Light Of The Sun. Now she has dropped the next single, which features the flawless Anthony Hamilton, and it’s absolute perfection. Soul music at its very best. This album could be a classic.